Bitcoin has often be referred to as digital gold. It’s no wonder, as it has increased in value like no other currency before it, topping a whopping $7000! This book on the number one cryptocurrency is intended for a complete novice. Written in a simple and easy-to-follow format, this is guaranteed to help you get your foothold in the complex world of the decentralized digital currency and set you ahead of the game. Download the first book in the series from Cryptomasher to secure your future in the future of currencies! I have heard about bitcoin before reading this book from my friend. 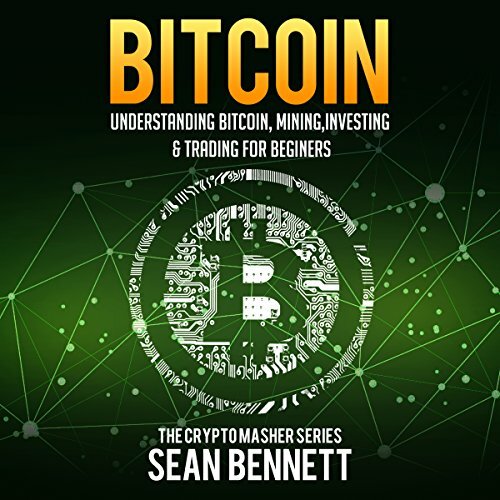 In fact, this book is a deliberate collection of the author which introduces bitcoin, mining, investing and trading. Inside this book available granted information which can prove best assistance in making your steps strong into this complex world of digital currency.